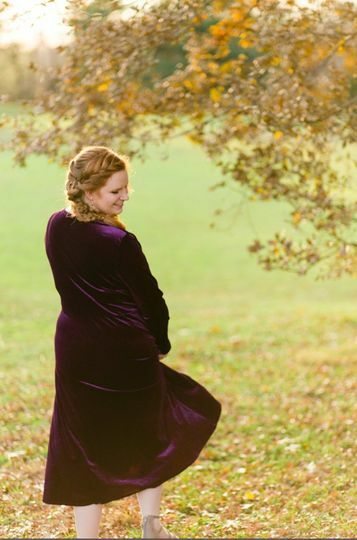 Stress Away is a passionate hair and makeup business based out of Rockville, Maryland. They pride themselves on their artistry, attention to detail and ability to exceed your expectations. They hope that you'll be able to look to them for guidance in achieving the look of your dreams for you wedding day. Stress Away offers on and off-site services for the bride, bridesmaids and other wedding party attendants. Jessica is a Licensed Senior Cosmetologist and Certified Makeup Artist in the beauty industry. She graduated from the Paul Mitchell Partner School in Rockville, The Academy of Makeup, Inc in Baltimore and the Hongkong Jia Yun Makeup Academy. She loves what she does, and is fully committed to her craft. Fabulous Hair and Make Up Artist! Highly recommend! 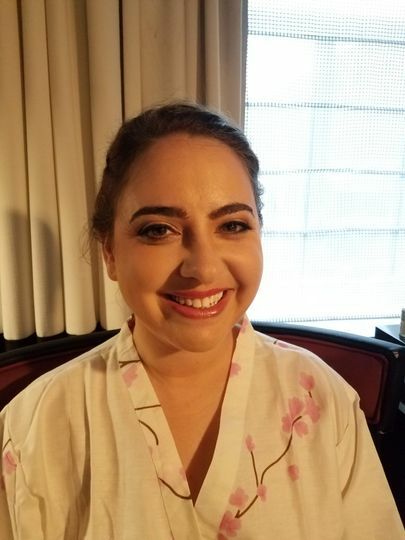 I am very thankful to have had Jessica from Stress Away as my hair and make up artist for my Memorial Day May 28, 2018 wedding! Her work is highly admirable for the price. I appreciate that she is very professional, personable, easy to work with, and creative! During our initial interactions, she was very responsive to messages over wedding wire and text. I had an original vision of woodsy, bohemian chic, long beach wavy hairdo with natural looking makeup. 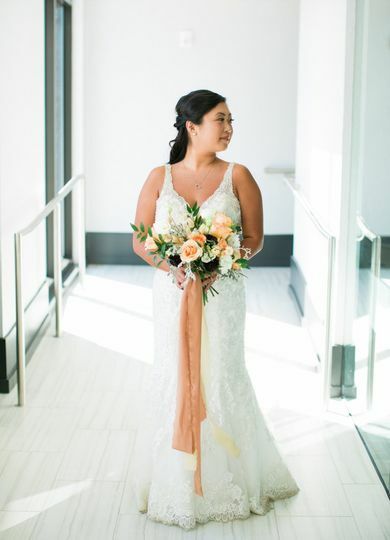 A great partner in the creative process, she took into consideration my dress, jewelry, and skin tone to tie together a hairdo and make up palette that made my vision come to life in ways I did not imagine! 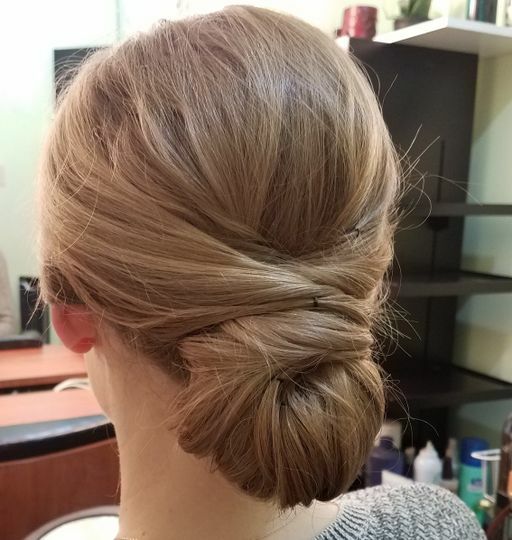 I highly recommend going to do the hair and make up trial with Jessica in Rockville, MD! I went with my mom to get both our hair and make up trials. 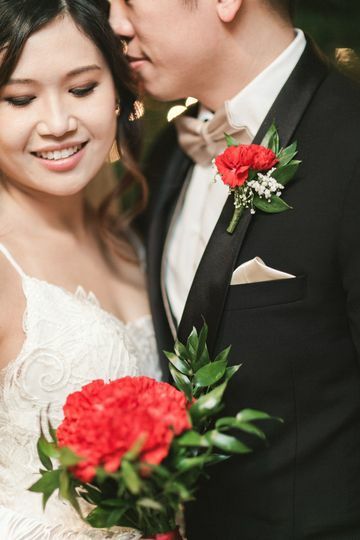 Meeting in person, figuring out colors that work with your vision and skin tone, and creating bonds working together is important to the success of the big day. She was very patient with with our questions and helping my mom with finding a hair and make up look that worked to her liking. 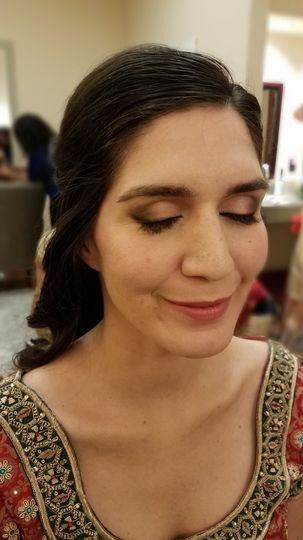 While she did not meet my bridesmaids until the day of, she made sure to ask for their hair and make up vision ahead of time! For the "day of," Jessica and her assistant traveled to my home where my bridesmaids, mom, and I would be getting ready. 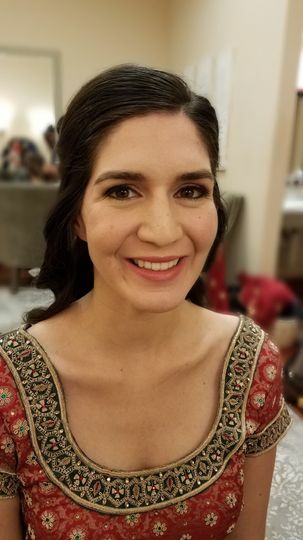 She arrived early in the morning and did the hair and makeup artistry for me, my two bridesmaids, and my mother. I cannot reiterate how Jessica and her team were simply amazing to work with! She was really thoughtful with incorporating my bridesmaids hair/makeup visions into the overall bohemian chic theme of the wedding. Stress Away's wedding rates are very competitive and affordable especially for those on a budget! Included in the package was that Jessica would provide a number of hours for touch up before the ceremony, which was great to have just before even thought we actually ended up not needing it. Overall, Jessica is amazing, and anyone working with her is in great hands! 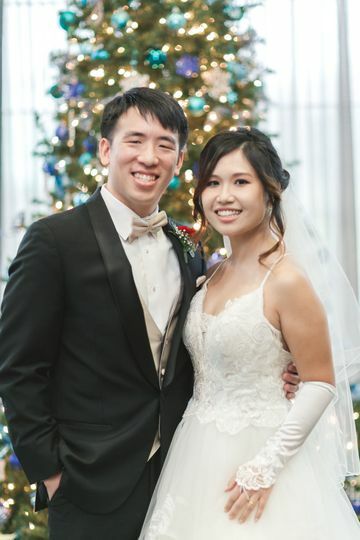 Jessica was my makeup artist and hair stylist for my wedding. She is a kind lady and a professional artist. She was on time to make my hair and my makeup. She was well prepared to do her job. She also was understanding seeing me stressed before my and my husband BIG DAY. In the high stress moments she behaved very nice, saying supportive words and assuring me how beautiful I looked. To all brides - you ladies can believe me, words of support even from person you just met are high needed when you are getting married! 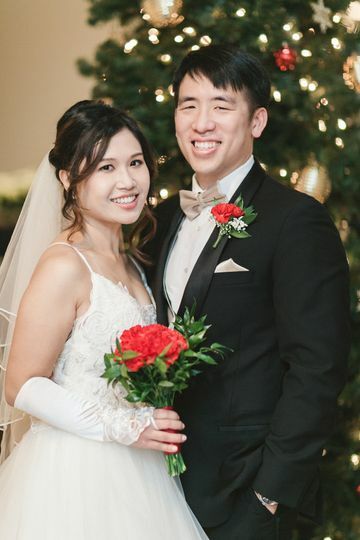 Jessica, thanks so much for being part of our wedding. She was so helpful and made me feel beautiful for my bridal shower. You won’t be sorry to go with Jessica. She was so nice and professional. She created the image that I provided to her and brought it to life.